Recently I had a student who was hired to babysit young elementary aged children ask me for suggestions of activities she could do with children. She wanted something that was fun, engaging, and would pique their curiosity. We talked about a lot of options that included arts, crafts, cooking and games. Finally after further discussion and investigation, I suggested science related activities that revolved around crafts. After all, children are curious little people who love to touch, pinch, poke, roll, knead and stretch things. So why not tie those natural tendencies to learning and science by creating sensory crafts in the kitchen and help children think scientifically while having fun and being engaged! Because I had some time extra time, I decided to turn this into a classroom learning experience as well. 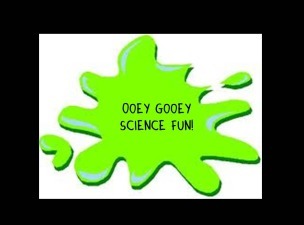 Ask students how many remember science in elementary school? What do you recall about it? Why did you like or dislike science? I remember one elementary teacher that I had as an elementary youngster that made science so much fun….so much so that I still remember much of it today, decades later! Why did I like his science lessons and activities so much? Well, they were unique, hands-on, messy and interactive. You couldn’t help but get into it! Ask students how can we encourage young children to get excited about science? Try to get them to remember reading books or watching television shows like Miss Frizzle and the Magic School Bus. To remind them of this, play the intro via YouTube for them to see if they remember the show or the books. One thing I liked about Miss Frizzle was her philosophy…she was known for this quote about science, “Take chances, make mistakes, and get messy”. Isn’t that what science is all about? Some other ways to encourage science is to make it interactive, hands-on, messy and exciting, to look for it in every day, ordinary things; explore both inside and outside the house, and to make the ordinary extraordinary! What should you do if you do get to do science with children? Ask them a lot of questions such as what’s happening, what the ingredients doing, how it feel, ask how many, how much, how heavy,compare and contrast for similarities and differences, ask “what if” questions, how could we…,why do you think, and can you tell me how or why that happened? To give my students some practice I have them create a few easy sensory craft science recipes in the kitchen. The recipes I chose were shared on TPT as freebies and they are ones I’ve used before so I knew they were easy, fun and very interactive. Students actually could make these with children while babysitting (with a parent’s permission) or in a day care or in-school preschool setting. Finally, to help students walk away with a variety of hands-on, child friendly science related activities I have them create an ABC Science Activity Book for Young Children. The book is made up of easy, fun science activities that could be done by parents, teachers and caregivers with children. The goal is to encourage children’s natural curiosity and a love of science. Note: I purposely did not include points on the rubric as I wanted teachers to be able to assign their own point value based on the number of letters/activities students completed. Can you provide examples of activities students have included in the ABC book? This is just one more activity lesson to love!!! These lessons work so well in all my Child Development Classes! The high school students love reminders of their childhood. This lesson keeps them fully engaged and understanding why play is so important in development! Thank you!